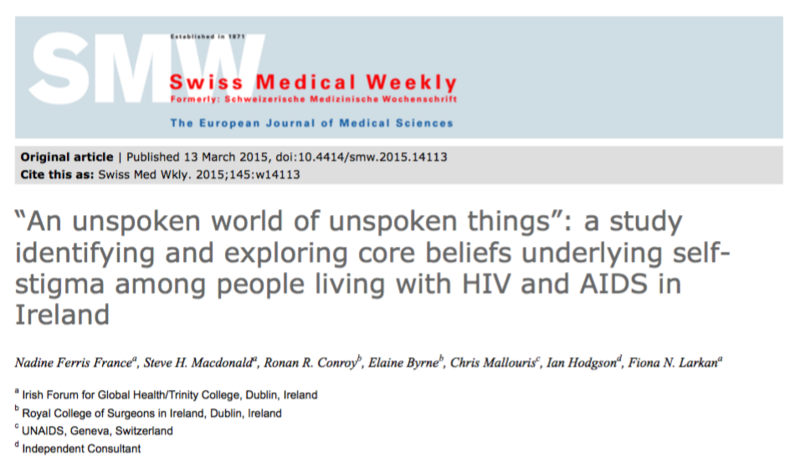 Abstract: Self-stigma–negative self-judgements resulting in shame, worthlessness and self-blame–may play a crucial role in emotional reactions and cause emotional distress among many people living with HIV and other chronic illnesses. Furthermore, self-stigma negatively impacts on self-agency, quality of life, adherence to treatment, and access to services. 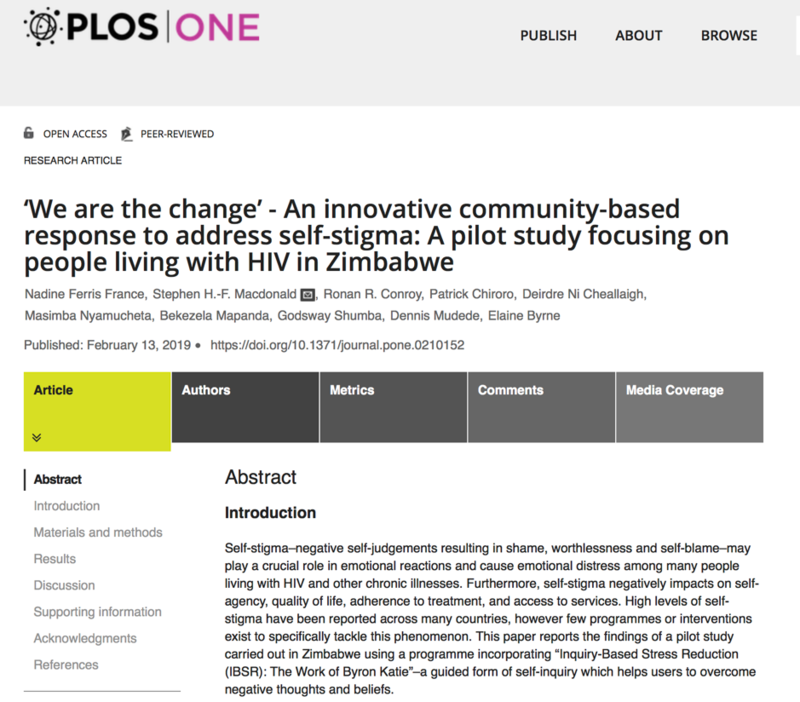 High levels of self-stigma have been reported across many countries, however few programmes or interventions exist to specifically tackle this phenomenon. This paper reports the findings of a pilot study carried out in Zimbabwe using a programme incorporating “Inquiry-Based Stress Reduction (IBSR): The Work of Byron Katie”–a guided form of self-inquiry which helps users to overcome negative thoughts and beliefs. 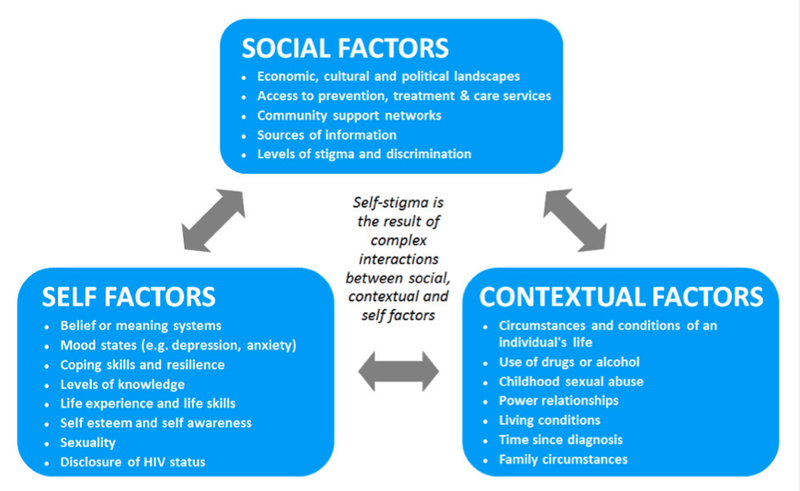 Figure 2 Conceptual framework of self-stigma. Designed using concepts from Morrison (2006) , the framework comprises three interacting groups of factors (factors listed are non- exhaustive) which influence self-stigma: social factors, contextual factors and self factors. The complex interaction between these factors influences the development and perpetuation of self-stigma. 1. Nye FA. The Work of Byron Katie: The effect of applying principles of inquiry on the reduction of perceived stress. Dissertation Institute of Transpersonal Psychology. 2011. Psychopathologic Symptoms: A Pilot Study. Journal of Alternative and Complementary Therapies. 2013; 147-152. (doi: 10.1089/act.2013.19303). 3. Lev-ari S, Zilcha-Mano S, Rivo L, Geva R , Ron I. A prospective pilot clinical trial of "The Work" meditation technique for survivors of breast cancer. European Journal of Integrative Medicine. 2013; 5(6): 487-494. [doi:10.1016/j.eujim.2013.07.003). 4. Landau C, Lev-Ari S, Cohen-Mansfield J, Tillinger E, Geva R, Tarrasch R, Mitnik I, Friedman E. Randomized controlled trial of Inquiry-Based Stress Reduction (IBSR) technique for BRCA1/2 mutation carriers. Psychooncology. 2014 Oct 18. (doi: 10.1002/pon.3703). 5. Smernoff E, Mitnik I, Kolodner K, Lev-Ari S. The Effects of "The Work" Meditation (Byron Katie) on Psychological Symptoms and Quality of Life-A Pilot Clinical Study. Explore (NY). 2014 Oct 22. pii: S1550-8307(14)00206-7. (doi: 10.1016/j). 6. Mitnik I, Lev-Ari S. The Effects of The Work meditation technique on psychological scales among a non-clinical sample, Harefuah. January 2015.